We all have so many bits and pieces in our lives, and often it’s hard to know where to put them. 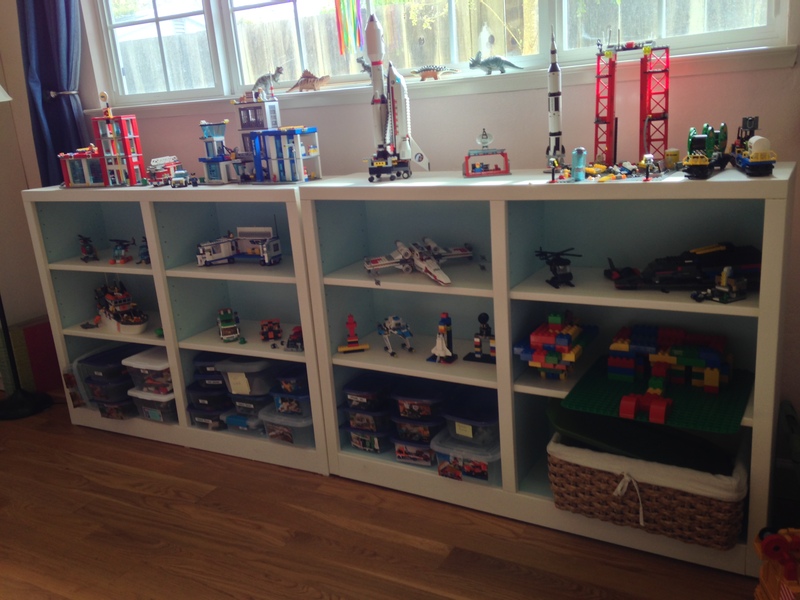 I certainly don’t have all the answers, but living in a small house, with a Lego-obsessed son and a husband with a few collections of his own, has forced me to come up with some solutions. 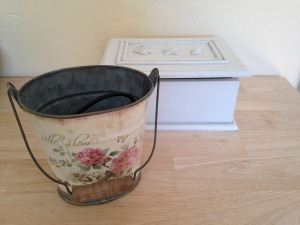 We use many different kinds of containers in our home. Two bookshelves and some good ol’ Tupperware has been the savior when it comes to the Legos. 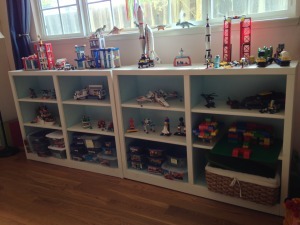 The bottom shelf is for the boxes that house the Legos he isn’t using. 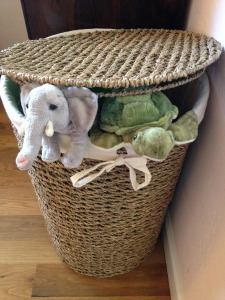 Since our son is still learning to read, each container has a photo of the toy taped to it. The top shelves are to display his creations. 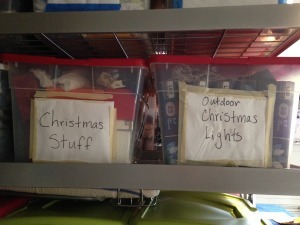 to my son’s drawing supplies in easily accessibly boxes, we try to think through the best way to store things. If we use something frequently, it usually has it’s own, easily accessible container. For example, all of my writing supplies, notebooks, printed pages, highlighters, etc. 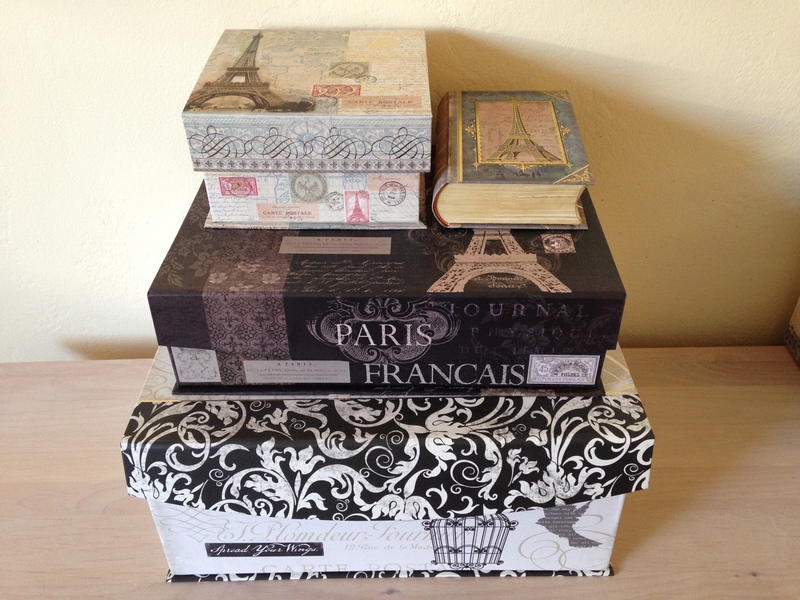 go into neatly stacked boxes on a shelf in our spare room. 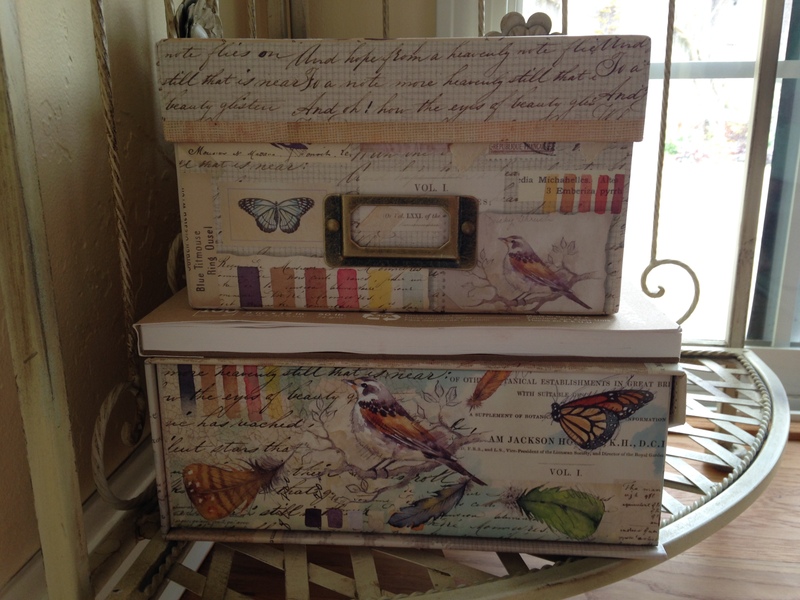 Choosing boxes with a similar theme can unify the look. And if we don’t use something often? It lives in the garage, in a clearly labeled box. Simple solutions can make a big difference. A pretty, covered clothing hamper is perfect for my son’s stuffed animals. 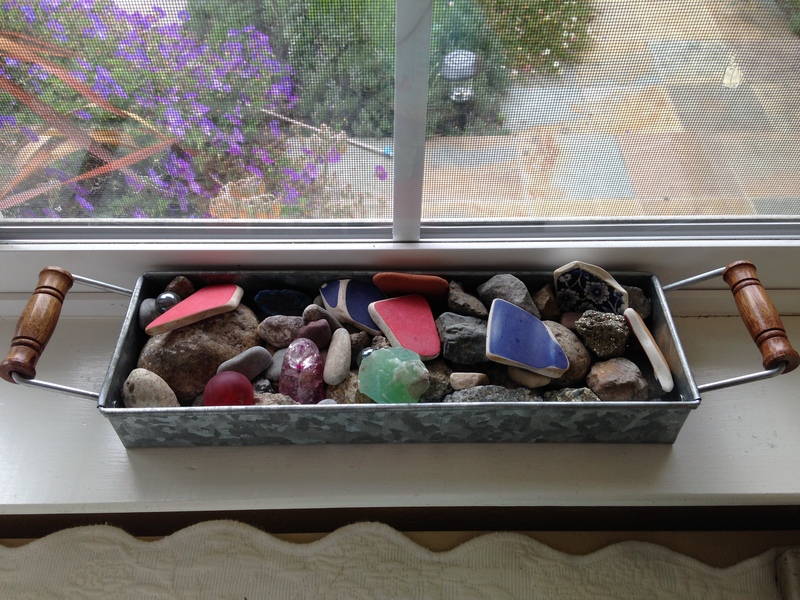 And a sweet, narrow tray keeps his rock collection in check. 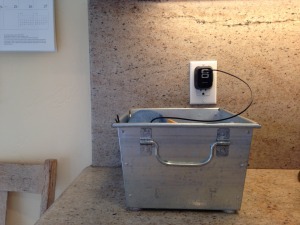 This little bucket houses the electronics I use every day, my Kindle charger and my reading light. The pretty seashell box houses the speakers that hook up to my computer. Cords and electronics that we don’t use very often are kept in a plastic storage box in the garage. A rustic metal box on the kitchen counter, by the door that leads to the garage, is a good place for tools and other small things we need to return to the garage. When the box gets full, we just take it out to the garage and put its contents back where they belong. The box also doubles as a safe space to charge our phones. 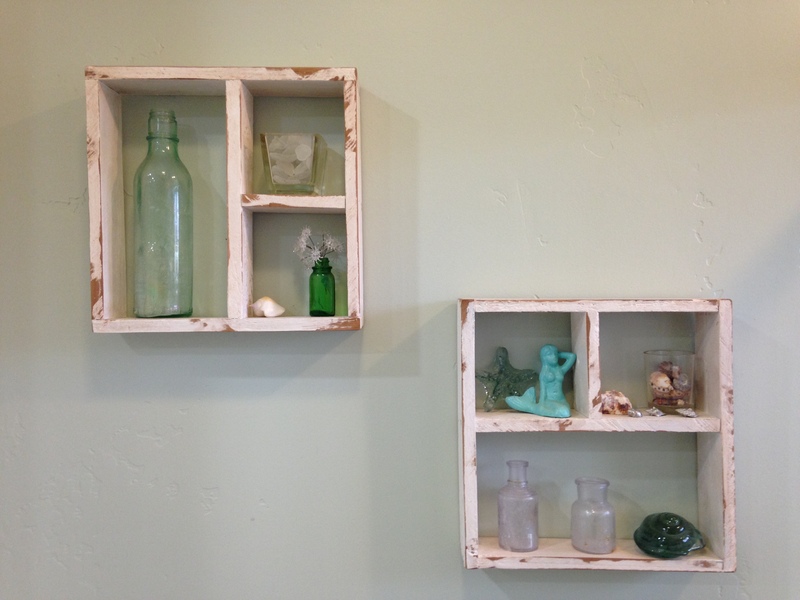 In a small house, even your walls can provide useful storage and display space. My husband collects magnets from his travels and now my son has joined him in this hobby. 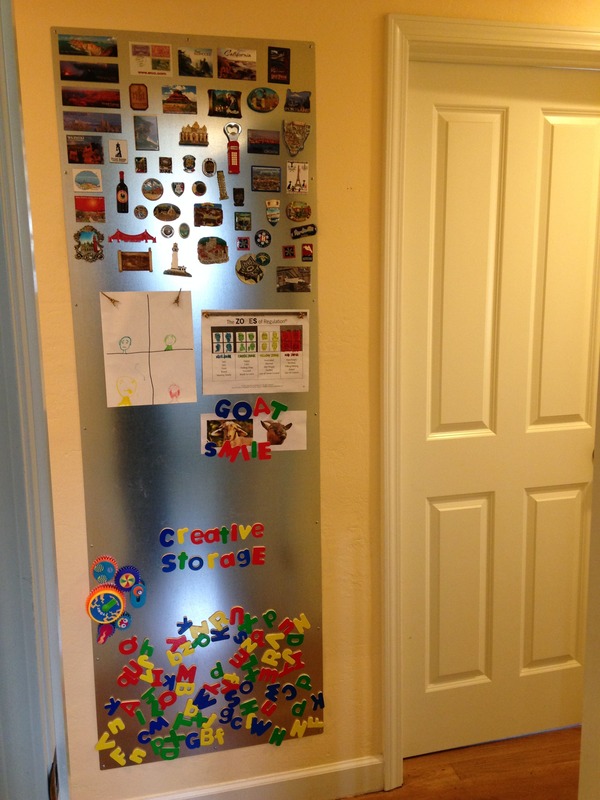 Our refrigerator isn’t magnetic, so we hung a panel of sheet metal in the hallway outside my son’s room, and the magnet collection lives there. The lower half of the board is full of magnetic letters for my son to play with. He loves them and it’s nice that our hallway has now become a useful play space. 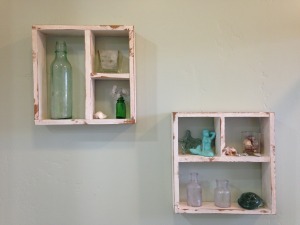 Rustic shelves house one of my collections… seashells, mermaids and antique glass bottles. Shelves are a great way to keep things organized. You can also be creative with where you put them. 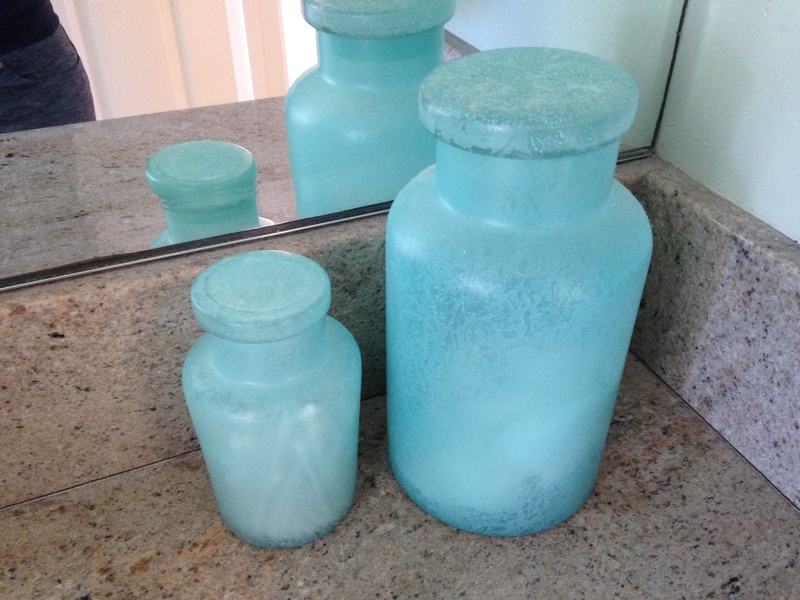 These ones are actually in our bathroom, over the toilet. 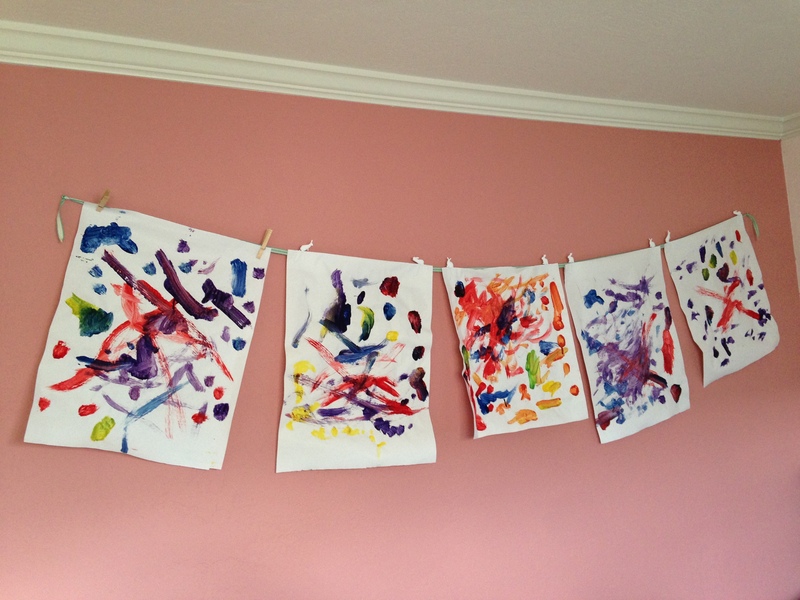 Art lines display art projects in a purposeful and organized way. And they are so easy to make. Two small nails, some twine or ribbon, and clothespins are all you really need. We recently replaced the clothespins with bunny clips that the Easter Bunny left in my son’s basket. 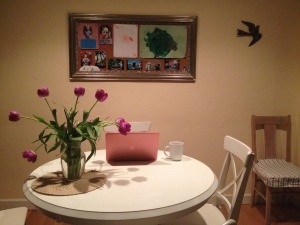 Bulletin boards can become changing displays of all the little treasures and mementos my son brings home. If you make or purchase one with a pretty frame, it makes all those little bits, that could seem like clutter, feel more like art. These are just a few ideas that have worked for us. None of them are very expensive. We bought the bookshelves in my son’s room unfinished, and painted them with leftover paint. (The blue background is a mix of three paint samples we tried out when we painted our bathroom.) I found the bathroom shelves on Etsy for about twenty dollars, and if you are the slightest bit handy with wood, I’m sure you could easily make them for even less. 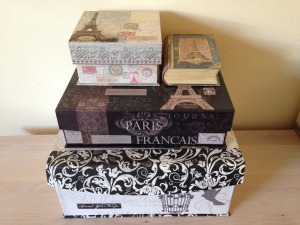 Many of the little boxes have been collected from clearance racks or flea markets, or purchased on EBay. The biggest expense was the big, framed bulletin board. I splurged and bought it on sale at Ballard Designs. 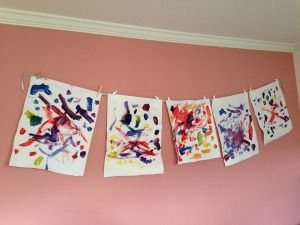 But there are a ton of blogs out there that will show you how to make something similar for much less money. The key to getting organized in a small space like ours is to be thoughtful. Take things one problem, or one collection, at a time. Google other people’s ideas, but also think about what will work for you. We all think differently, own different things and have a different aesthetic, but hopefully a few of my ideas will resonate, and you can find a way to apply them to your home, to make things just a little more organized. One project/collection at a time sounds do-able. Great advice.